Sick of picking up shoes from all over the house? 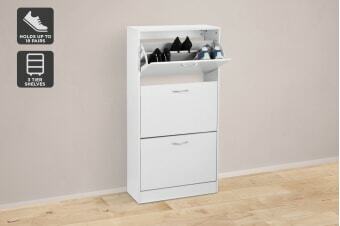 Store, organise and protect your shoes with this fantastic 3 level storage unit. Shoes are often one of the most annoying things to store. 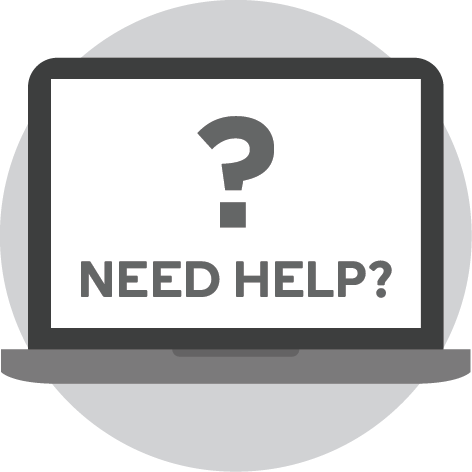 Racks can be unsightly, cupboards get shoes mixed up and people often don’t have the space to use individual boxes. 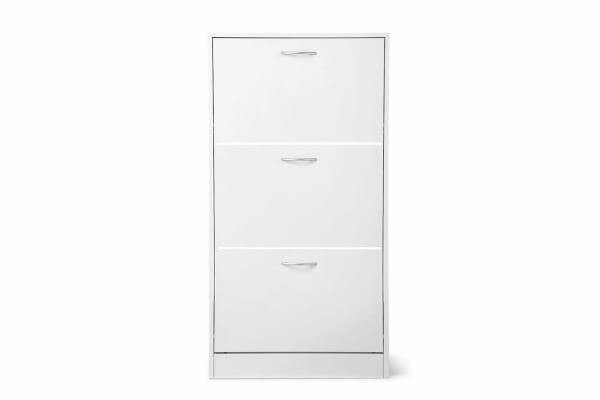 The Ovela 3 Drawer Shoe Cabinet features 3 levels of storage, with 2 shelves within each level. This means you can easily store up to 18 pairs of shoes neatly and efficiently, eliminating clutter and making sure you’re never stuck searching for a lone shoe again! 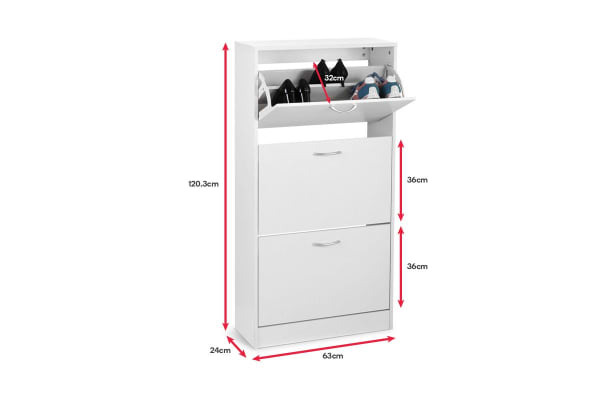 Once your shoes are hidden away in this stylish cabinet, you’ll be amazed at how much floor space it frees up – plus your shoes will even last longer, protected from scuffs, spills and getting squashed out of shape.